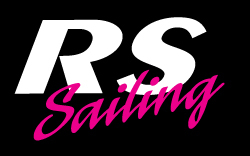 RS Sailing are delighted to announce that the RS100 will be having a technical update. The new builder will be The Boatyard at Beer, who are the current builders of the RS200, RS700 and RS800. We have been working closely with the BYAB team and are delighted with the consistency and quality of their boats. This will mean that there will be a modern way of building the boats, using advanced technology helping the quality of the boat in the long term. The class have proposed some changes, which now are being reviewed, for example the suggestions could lead to using different types of blocks or getting them to another place on the cockpit floor. If you have any requests, we can take these into account. If you are interested in a new RS100 for this season, please do let me know and we can keep you up to date with the situation regarding release dates, specification and prices. We will of course be offering Part-Exchange and finance options.